don't miss any of our news updates because if you do you'll miss all the fun! Come by and check out our all new Derby's food & drink menu, door open at 6pm perfect time for dinner! It's Even Better The Next Day, VIVA LA WEEKEND! 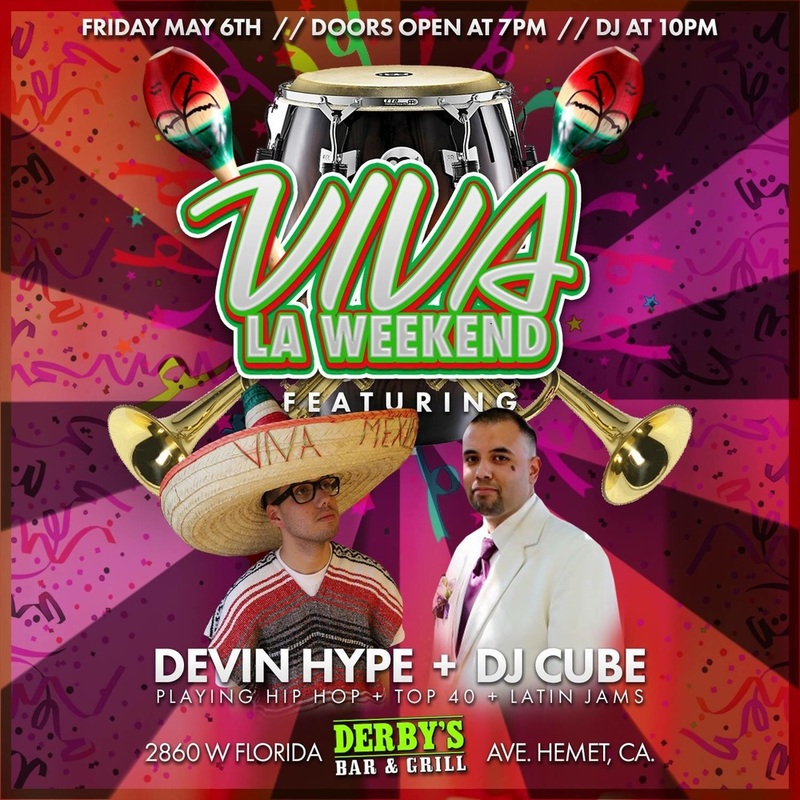 Friday May 6th 2016! Djs start at 10pm get your dancing shoes ready! Come join us Thursday May 5th at 7pm for a great CINCO DE MAYO night of fun! 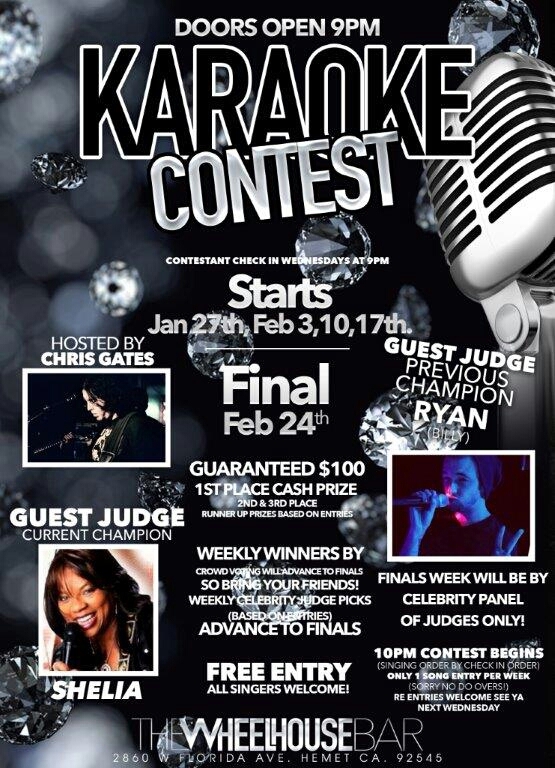 Join us for Hemet's best karaoke selection, sound, and host Chris Gates plus Katelyn will be bartending serving up her specialty coctails. Here is also our next contest info be sure ti sign up today! Come on down Lyle's Holiday Jam Open Mic starts at 8pm !